Most of the time, from early spring until snow cover, my neighbor’s lawn would easily win a beauty contest with our’s. The reasons are simple: like many Americans, he is passionate about the look of his lawn, and he invests time (he’s retired), energy and money in it. This includes annual fertilizer applications, insect and weed treatments and meticulous mulching . He also cuts his lawn early and often (albeit never when wet! ), but not more than a couple of inches at any go, like a guy trimming his carefully groomed Van Dyke beard. He doesn’t bruise the blades. In normal circumstances, his patch is a rich, vivid green that would be the envy of any golf course, with nary a weed in sight. My lawn is a different story. 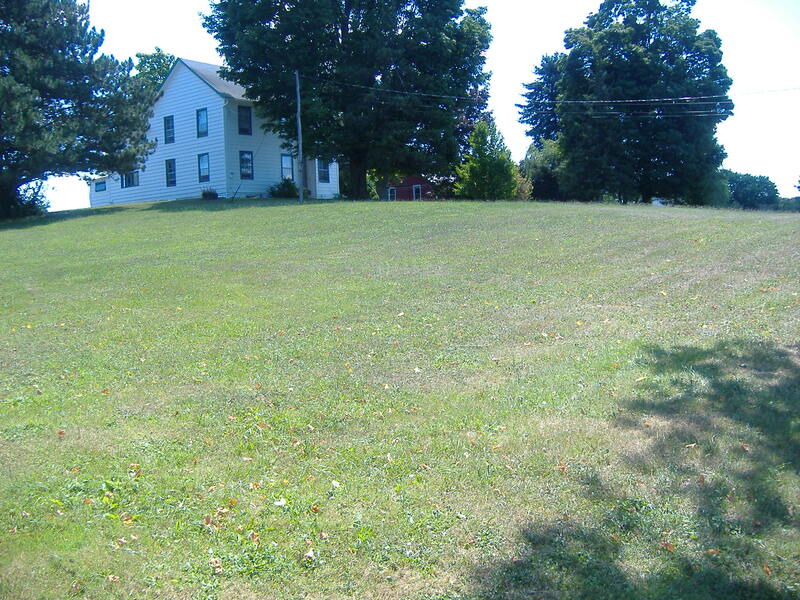 The goal: to mow as little possible, and to invest no money (besides gas for the mowers) in lawn care products. I just try to keep the meadow in check, a tremendous challenge in late spring/early summer, when the grass grows, well, like weeds. Needless to say, I don’t fertilize, which would lead to more mowing! Nor do I apply any other applications, chemical or otherwise. I do mulch the many fallen leaves in autumn, but only because mowing them is easier than raking and then disposing of them. I could go into the moral superiority of my approach, like no pesticide or nitrogen runoff to foul the ground water and the larger environment. It’s a nice residual benefit, for sure, to which I fully subscribe. My “virtue” is, however, rather more the result of thrift and work reduction, than of environmental zeal. Author Robert Wright spoke to this well in a recent New York Times essay, “The Dandelion King”: “The unkept look of my lawn is just a byproduct of a conclusion I reached a few years ago: the war on weeds, though not unwinnable, isn’t winnable at a morally acceptable cost…Waging a war on weeds takes more time and energy (or money, if you outsource it) than just mowing the lawn every once in a while,” he wrote. …is scorched brown earth due to the drought, while my polyglot patchwork of random grasses and weeds is still green, clearly in better shape than next door. My lawn has actually fared better in the extreme conditions due to the many weeds and grasses, whether native or invasive, that our neighbor fights to keep away. After a few rains, my neighbor’s lawn will no doubt come roaring back, and be the envy of many a lawn warrior once again. Yet in the extreme conditions, the hands-off approach has shown aesthetic, as well as moral advantages. Sounds more sustainable to me. 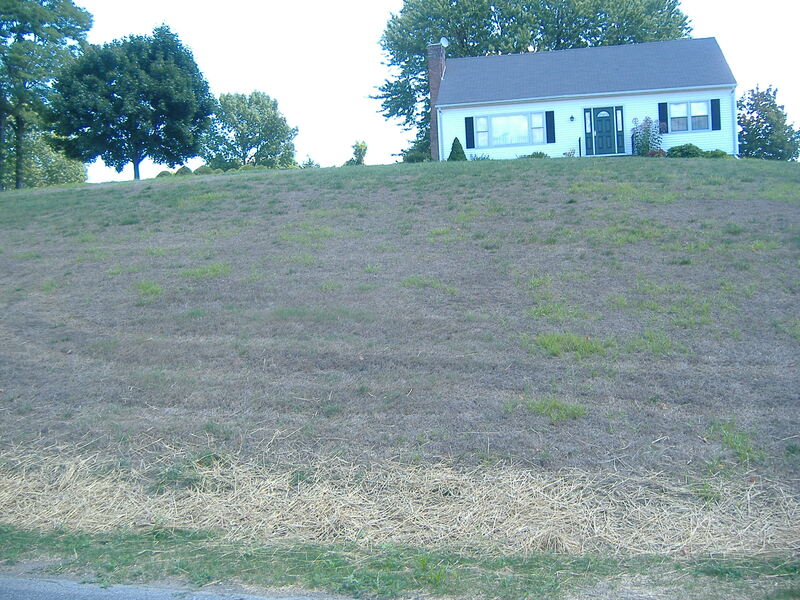 This entry was posted in At Our Farmhouse, Environment, Health and tagged Nitrogen runoff, Robert Wright, sustainable lawns. Bookmark the permalink.